A qualified Sherwood, AR, HVAC contractor from River Valley Heating And Cooling can solve all of our heating and cooling dilemmas. 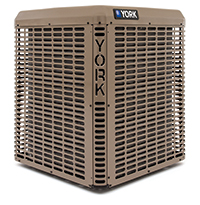 Whether your A/C needs a quick fix or a heater needs to be completely replaced, our professionals can get the job done right the first time. Our goal is to ensure that all of our clients experience comfortable and safe indoor conditions in their Sherwood, AR, property. Let a Sherwood, AR, HVAC contractor from River Valley Heating And Cooling attend to your problems before the situation gets worse. Set up an appointment today by calling our office in Sherwood, AR. We look forward to working on your project. Why Choose River Valley Heating And Cooling?